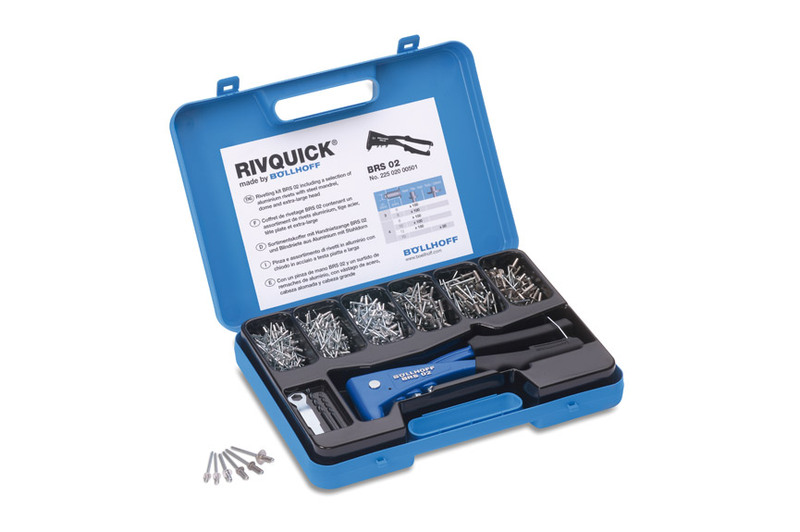 RIVQUICK® blind rivet technology is a proven method for the non-detachable joining of thin-walled components. For optimum processing, we offer a choice of processing options – from manual to automated. Insert, rivet, done. 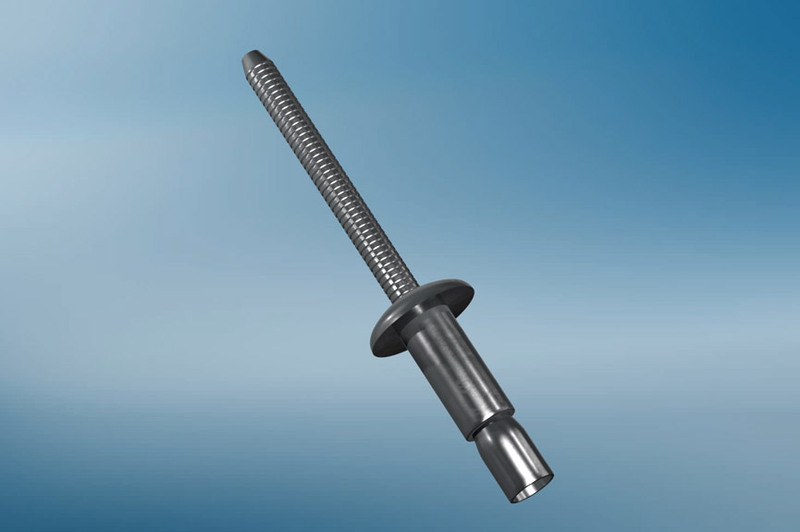 RIVQUICK® blind rivets create permanent joints and are available in various head shapes and material combinations. For flexible and efficient planning, engineering and manufacturing. RIVQUICK® is used for the permanent joining of thin-walled components, such as metal sheets and profiles, even if they are made from different materials. For ventilation, scaffolding and ladder manufacturing, and also in the automotive industry. 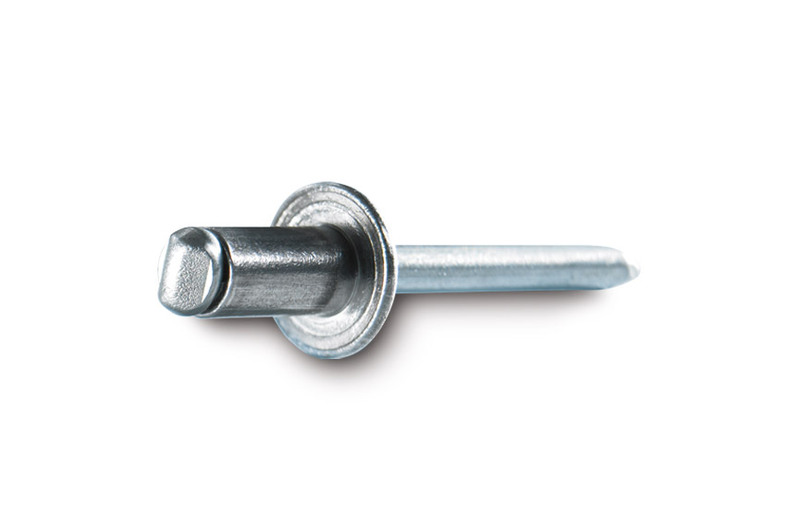 Blind rivets are ideal for rivet joints where the workpiece is only accessible from one side. The rivets are set by means of a blind riveting tool. 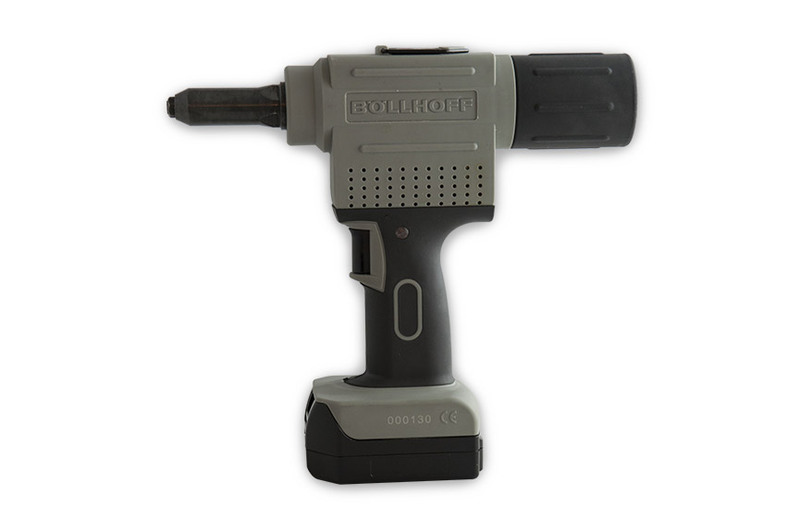 The hollow blind rivet is introduced through a drill hole into the workpieces to be joined. 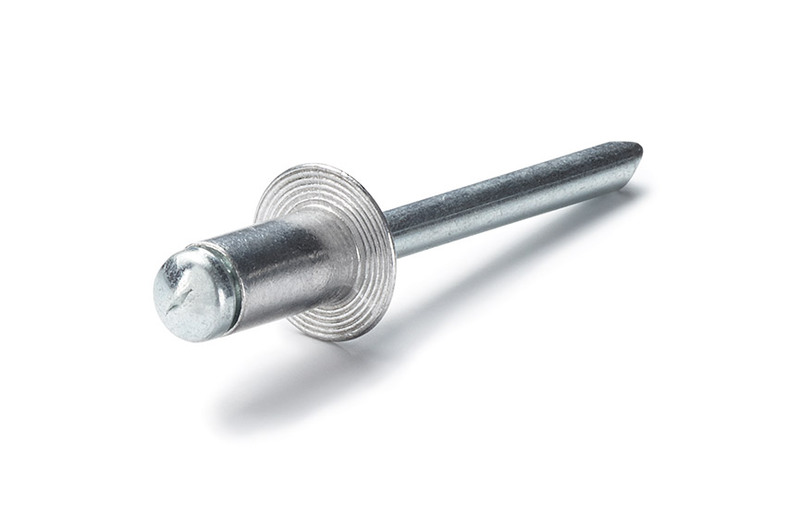 Pulling out a central mandrel with enlarged head widens the opposite side of the blind rivet until the mandrel snaps at a predetermined breaking point. The head remains in the rivet joint, while the mandrel itself is scrapped. 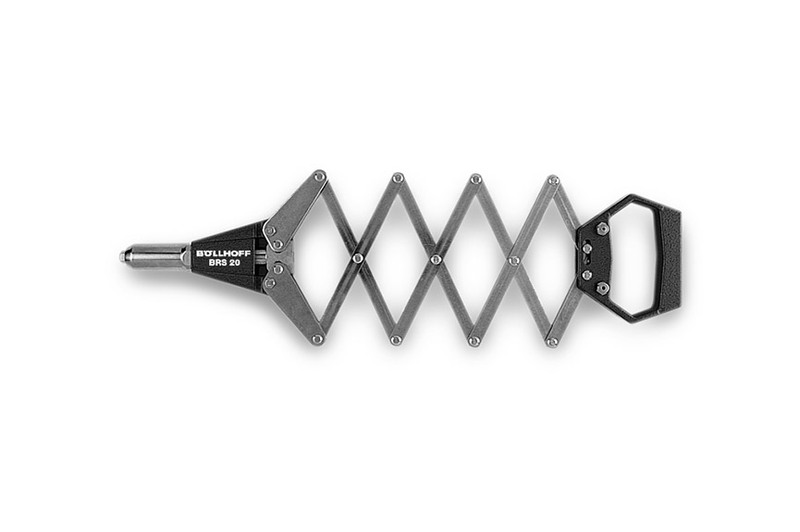 Reinforced lever-operated setting tool for blind rivets of diameter 2.4 mm to 5 mm – suitable for small-scale production. 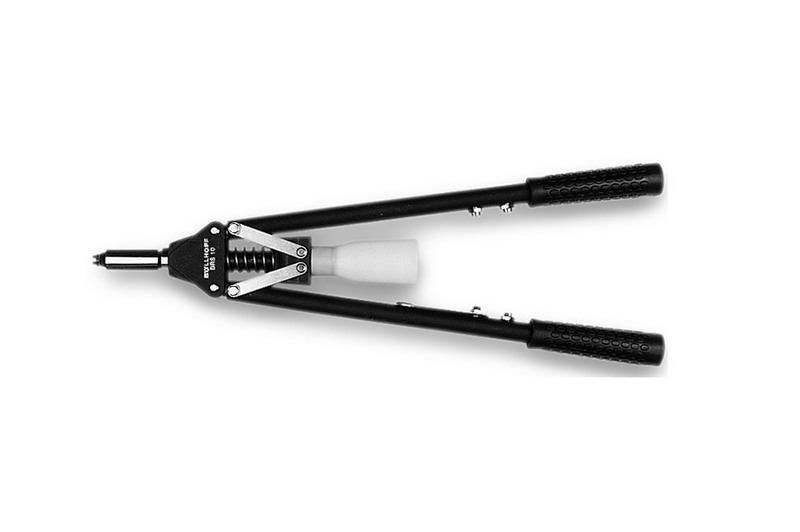 Lever-operated setting tool for blind rivets of diameter 3.0 mm to 6.4 mm – suitable for small-scale production. 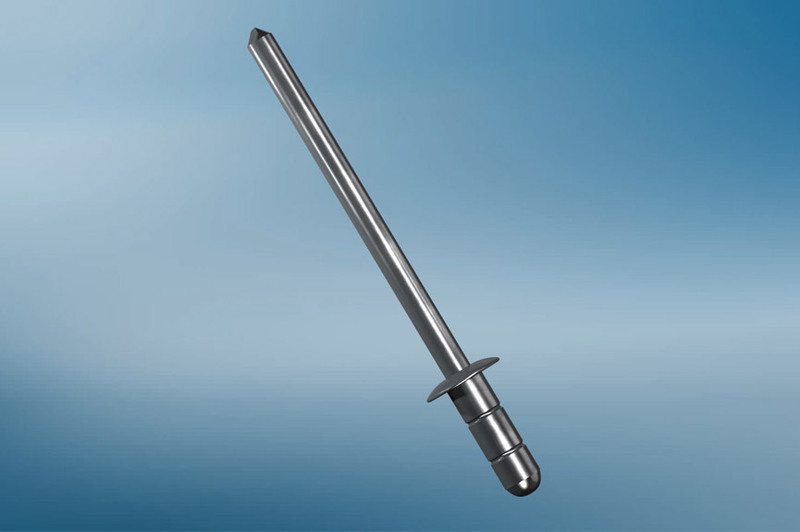 Manual setting tool for blind rivets of diameter 2.4 mm to 6.4 mm – suitable for small-scale production. 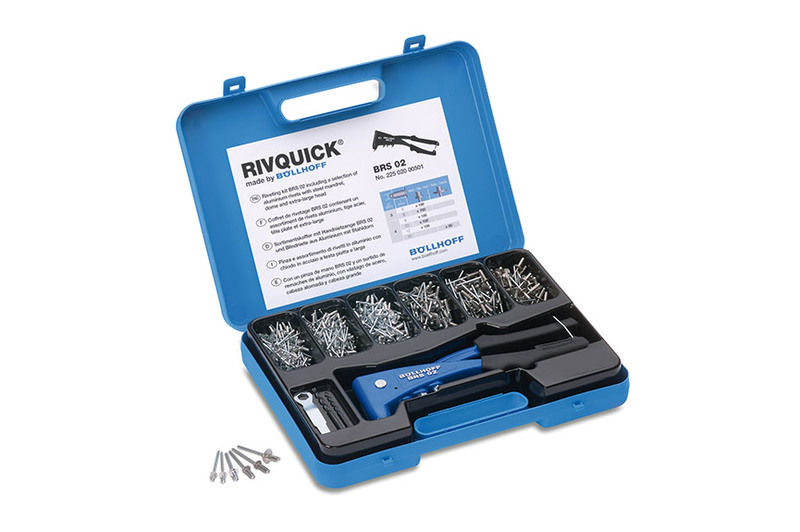 The RIVQUICK® Kit contains 558 parts in total, including blind rivets, the BRS 02 setting tool for manual riveting, and other accessories. 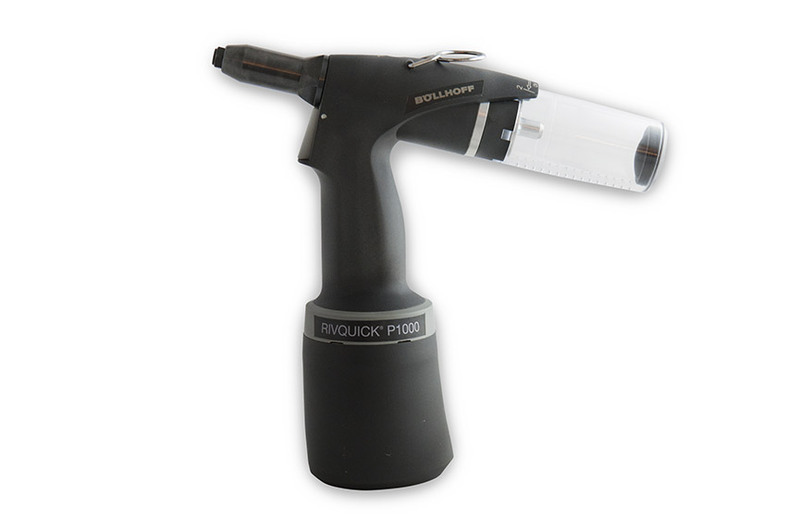 Hydraulic-pneumatic blind riveting tool for blind rivets of diameter 2.4 mm to 4.8 mm (material: aluminium, galvanised steel and stainless steel) – suitable for small and large-scale production. 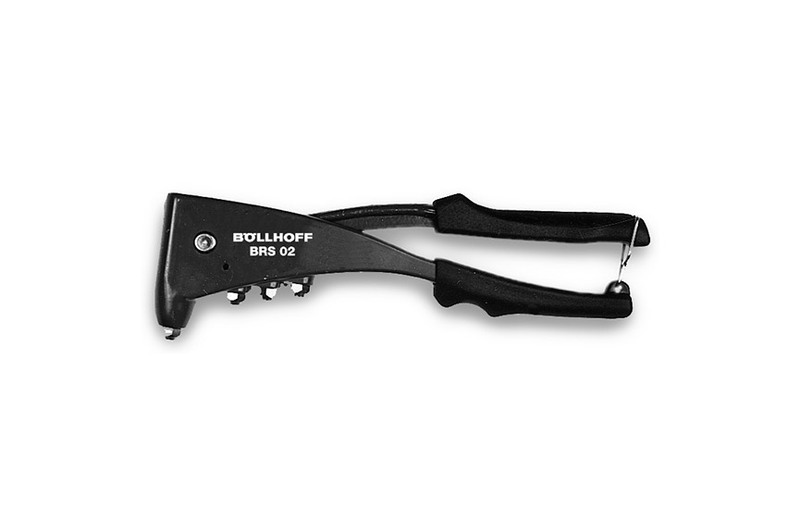 Hydraulic-pneumatic blind riveting tool for blind rivets of diameter 4.0 mm to 6.4 mm (material: aluminium, galvanised steel and stainless steel) – suitable for small and large-scale production. 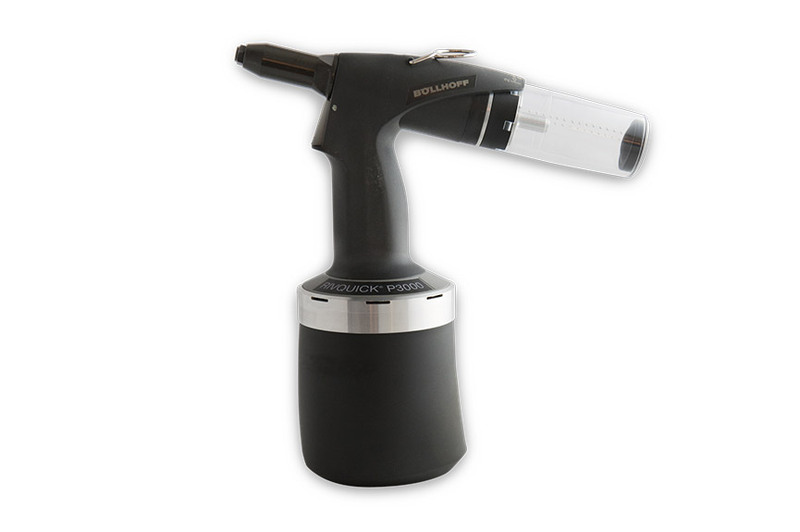 Hyraulic-pneumatic blind riveting tool for blind rivets of diameter 4.8 mm to 6.4 mm (material: aluminium, galvanised steel and stainless steel) – suitable for small and large-scale production. 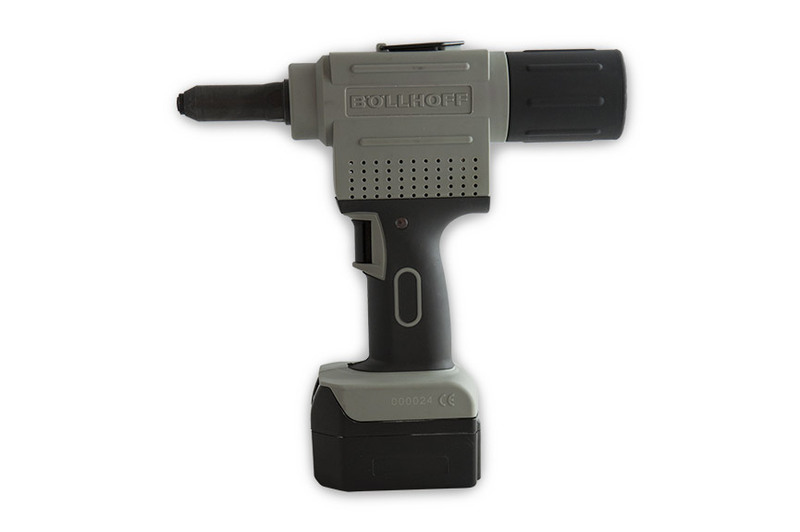 Cordless blind riveting tools for blind rivets of diameter 2.4 mm to 5.0 mm (material: aluminium, galvanised steel and stainless steel) – suitable for battery-supplied assembly in series production. Cordless blind riveting tools for blind rivets of diameter 4.0 mm to 6.4 mm (material: aluminium, galvanised steel and stainless steel) – suitable for mains-independent assembly in series production.